This Canadian themed stitched collage is an art journal page featuring the maple leaf, the loon and a miniature map of the country. Created to contemplate and reflect on Canadian identity, the collage includes both words and symbols. The loon, painted onto the text and fabric of the quilt, is a beautiful black and white bird that appears on Canadian currency. 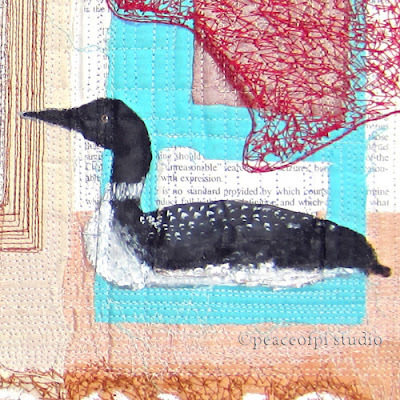 These birds can be found all across Canada in lakes and waters everywhere. 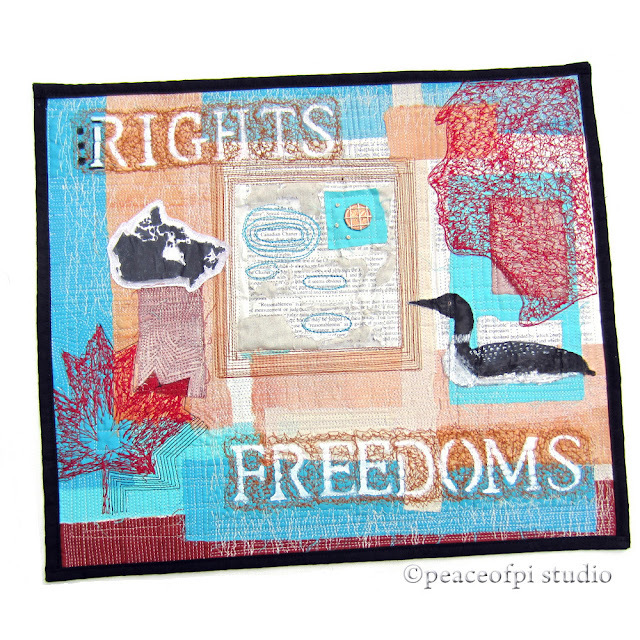 The centre of this mixed media piece features text from a book about the Canadian Charter of Rights and Freedoms (the Charter is a bill of rights that is entrenched in the Constitution of Canada). 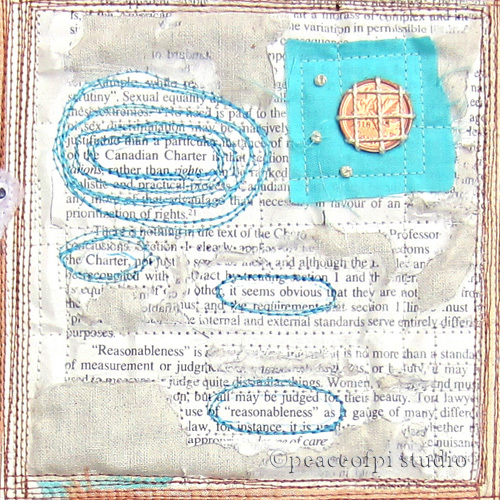 And stitched onto the text is a (now defunct) Canadian penny or one-cent piece. The silhouette represents the people, each and every one. 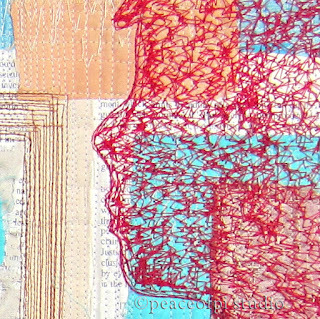 The stitching on the quilt is freeform, the edges uneven, the pieces unrefined. 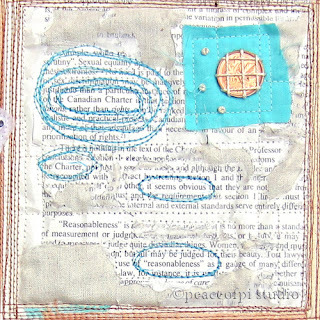 This imperfect art journal collage quilt with loose threads, with both symbols and words, is a heartfelt, gratitude-filled contemplation.